The PhilharMagic Concert Hall is, quite coincidentally, home to Mickey’s PhilharMagic. 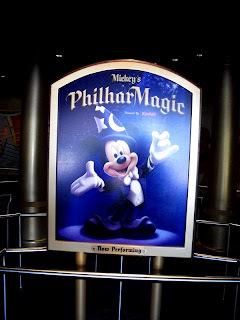 While this may seem like a rather unimaginative name for the hall that hosts Maestro Mickey’s show, the PhilharMagic Concert Hall has hosted a plethora of events prior to the current concert of the same name. In fact, before a performance, or during the intermission, guests can take a gander at the posters that promoted these events. 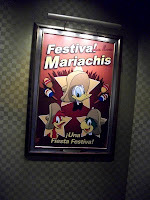 Festival de los Mariachis – In our inaugural Season, Donald Duck proved that his Mariachi-style trumpet really fit the bill! 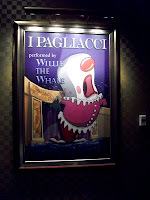 I Pagliacci – In one whale of a Second Season, Willie made quite a splash! 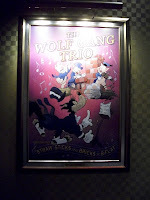 The Wolf Gang Trio – A highlight of the Third Season, the Wolfgang Trio huffed and puffed and blew the house down! 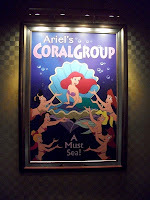 Ariel’s Coral Group – Ariel brought part of her world to a part of our world with the Fourth Season’s Concerto in Sea Major! 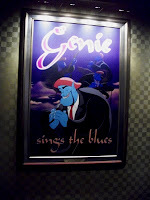 Genie – After his “un-corked” Fifth-Season performance, Genie left his fans wishing for more! 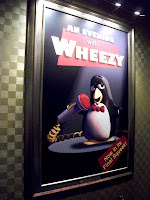 An Evening with Wheezy – The sensation of the Sixth Season were the soft and breezy vocal stylings of Wheezy! 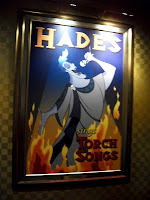 Hades – In our sizzling Seventh Season, Hades’ performances were on fire!